Anyone who has had anything stolen from them knows that sinking feeling in the pit of the stomach. That wrenching disappointment, which soon turns to anger and anguish. It doesn’t matter how big or small the item, the thought of someone taking what you’ve worked hard for is infuriating. We all invest significant sums into our touring setups, so if you aren’t adequately insured, you could lose much more than simply the value of the vehicle. Here are some tips to help get on the front foot and prevent your pride and joy going missing. 1. Park Aware: Believe it or not, many thefts are born from opportunity. Yes, we’ve all watched Gone in 60 Seconds and seen the affable characters scope out vehicles to be stolen to save the day, but this would be the minority. It pays to have a think about where you park your prized possession. During the day, make sure it’s in a secured location or at very worst, somewhere where it is in plain view of the public. At night, if you can’t get your rig into a garage or a carport, consider parking it in with another vehicle or put it behind a gate in a backyard where thieves may feel less comfortable trying getting to it. 2. Lock it up: If you are parking your vehicle anywhere, even out the front of your house, lock it up. As mentioned above, most thefts are born from opportunity, so an open door might be just what a would-be thief needs to be enticed. 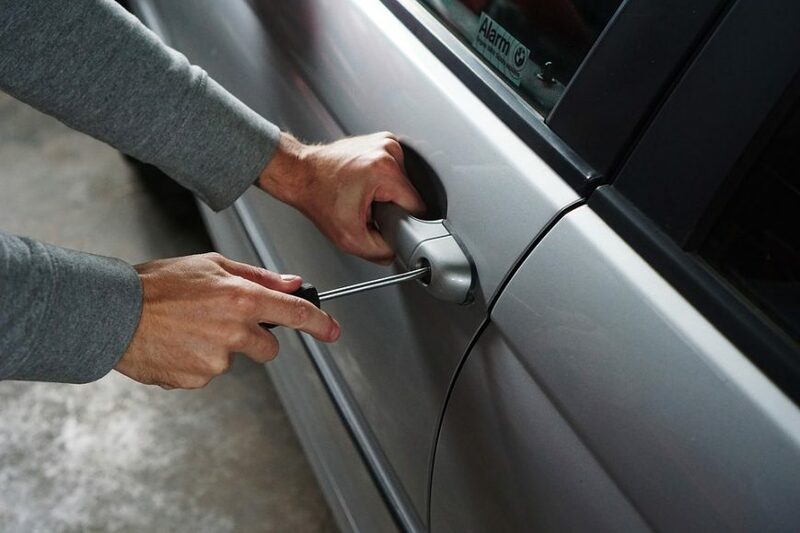 Interestingly, many insurance policies out there will not cover you if your vehicle was unlocked when stolen, so hit that button and lock her up. 3. Let there be light: Judicious use of sensor lighting is a good deterrent for theft from overnight parking. The options range from inexpensive all-in-one units through to separate sensor and light units that can be placed to suit your needs. Just make sure any electrical work is done by a licensed tradesman! 4. I can see you: It seems everyone has cameras around their properties these days. There are differing community views regarding CCTV, but there’s no doubt that they can be a useful deterrent and a valuable source of information when apprehending would be thieves. We’ve heard of cameras that have motion sensors and will notify you of activity directly to your phone! What’s more you can actually talk through the camera, no matter where you are! Imagine the look on a would-be thief’s face when you tell them to get out from the other side of the city! 5. Immobilise: Almost all newer vehicles these days have some form of engine immobilisation built in. Usually these systems work in the form of a transponder in the key, which interacts with your on-board ECU. The addition of this has seen a significant reduction in theft over the years. Unfortunately the criminals have caught on and it’s not uncommon for the more sophisticated thief to have master codes that can be used to trick the ECU into allowing ignition. This becomes all the more tricky when many new cars can be accessed without a key. A quality aftermarket immobiliser can be installed at various points in your vehicle’s vital systems, such as ignition and fuel pump. Many of these systems can be run simultaneously with an alarm system or have a proximity sensor, where unless you have the transponder in the car the immobiliser wont disarm. 6 Alarms and GPS Tracking: These go hand in hand with immobilisation, but the advancements in GPS technology warrant a separate section. Obviously alarming the vehicle where unwanted entry is notified either by sirens or notification to your phone is a great thing to have, particularly where you need to leave you vehicle unattended for long durations in less desirable locations. GPS tracking is an interesting one that has been around for some years but lately has become much more accessible to the masses. Do your research and ensure it’s exactly what you need though. The higher end systems will allow you to turn the vehicle off remotely, helping law enforcement locate the vehicle and the perpetrators of the theft. 7. Dash Cam: A bit of an outsider and definitely not fool proof, but we’ve certainly noticed parked cars at night that have a red or blue flashing light emitting from the dashcam. Yes, a thief could pretty easily remove and destroy the camera if they really wanted to take the vehicle – I guess it’s a risk the thief would need to take. In the meantime, it may be a deterrent to amateurs. We recently tested a Uniden dashcam that had a mode that woke the dashcam up to record for a minute whenever a jolt or vibration was sense by the inbuilt gyrometer, such as someone trying to get in or remove an accessory. Unfortunately, sometimes despite all of your best efforts, the worst will happen. This is where having the right coverage is absolutely imperative. If your vehicle were to get stolen today, how much would your payout be? Would that payout be enough to rebuild? 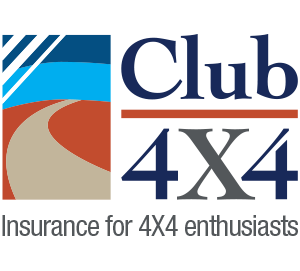 At Club 4X4 we offer a true agreed value which considers the value of your modifications and accessories. Give us a call on 1800 CLUB 4X4 or get a quote here. Also very importantly, do not store your actual address on the GPS. Otherwise you are inviting the thief to drive to your home for burglary in your own car. Instead of your home, program maybe the local shop down the road, or your local GP etc. near enough for you to know where you are. When, in the days of carbies, when I parked my vehicle to go to movies or diners, I took out the Rotor Button. I did the same thing on many occasions Carl. Oh for the good old days when a simple and cost effective solution was available. I used to pull a couple of spark plug leads off the plugs, but only just a bit so they still looked connected. Car would flart and cough but not start. One missing action, remove the car keys from the kitchen bench. Out here in Alice Springs the theft rate is high simply by the perpetrator breaking into the house and removing the keys. Best way is to install a cheap small “keysafe”, something with a digital lock that makes it easy to secure the keys in your home. This definitely is a good one – i hide my keys and spares get locked away somewhere. Its really common to have a house break-in result in a missing car. I dont see what the rotor button has to do with the carby, as it is in the distributor. Hence no spark to the spark plugs.The carby doesnt enter into it. Another simple one (along the lines of removing the distributor rotor) with modern engines is to remove ECU and or Fuel Pump relays from the fuse box under the bonnet.